Some of the products in this post were sent to me in exchange for a review. All opinions are mine alone. We’re hosting Thanksgiving dinner this year for 20+ family members. Our family will fill our home Thanksgiving Day to enjoy food, drinks, laughter and good company. Among my family members will be a handful of my favorite kids who bring energy to every gathering. This year I am going to set a kids table that I know some adults will be jealous of. 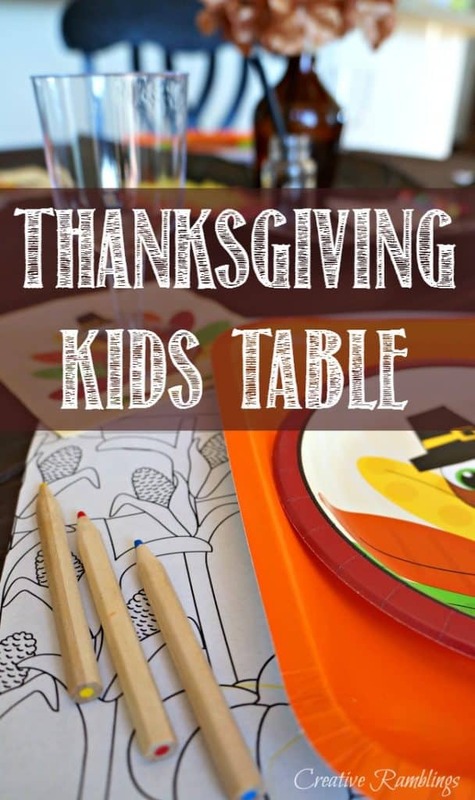 I browsed Oriental Trading for festive dinnerware, crafts and decorations that will help me create a fun Thanksgiving kids table. I went with a colorful turkey theme and chose to use disposable, but fancy, dinnerware for the kids. Kids want to feel grown up, even though they are at their own table. I remember sitting at the kid’s table for a very long time and always getting the leftover plain dishes. Not this year, this year these kids will be living it up. 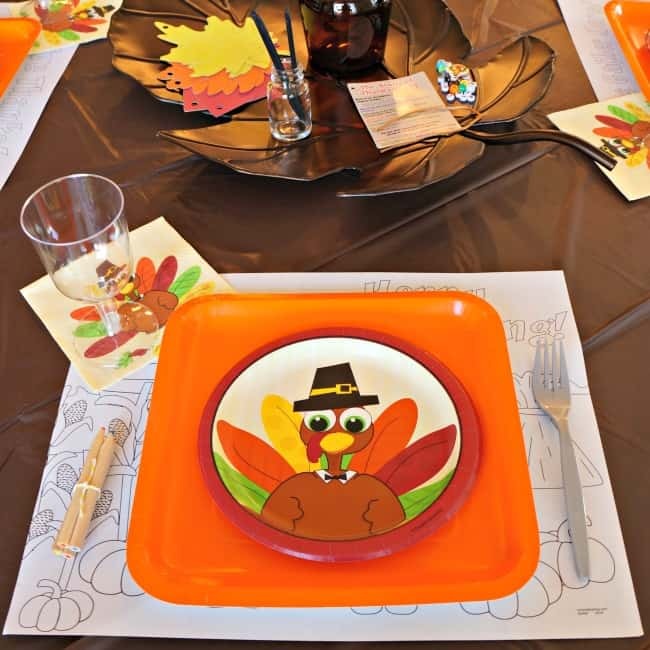 This Thanksgiving kids table has a set of turkey plates and napkins along with coordinating square dinner plates. I chose mini hard plastic wine glasses and will serve sparkling juice just for the kids, because every kid loves a fancy glass. My favorite part of this table are the crafts. 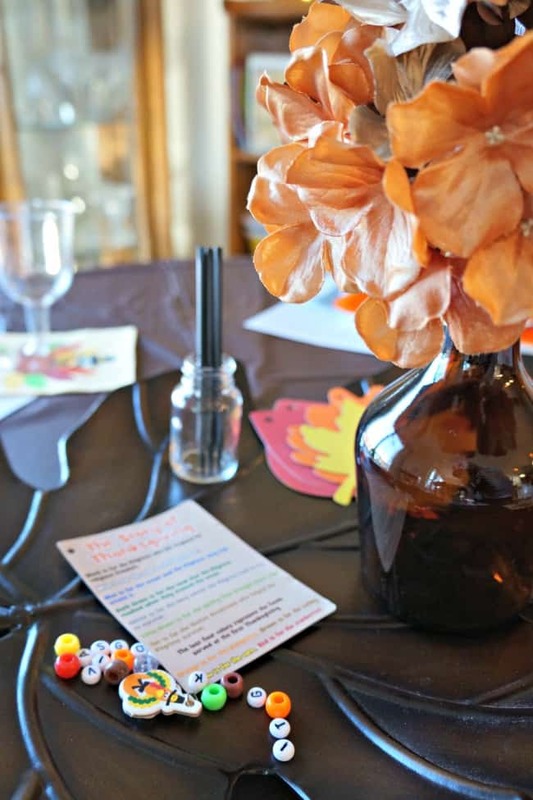 Just a few fun activities that kids can do before and after dinner. 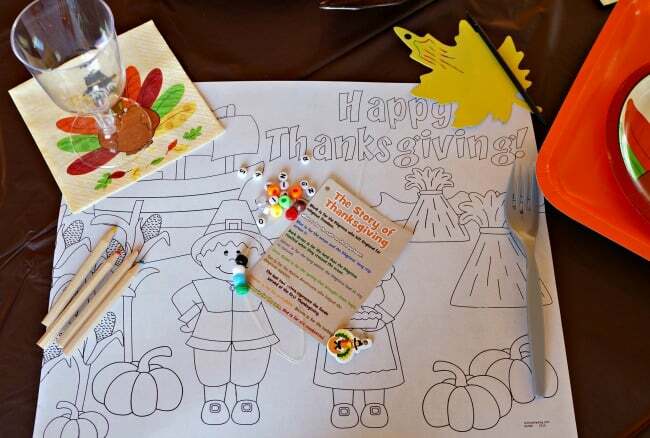 I chose magic scratch leaves, coloring placemats and a little bracelet craft that talks about the meaning of Thanksgiving. My kids are already excited to get their hands on these crafts, I know the big day is going to be a lot of fun for them. I look forward to Thanksgiving every year. Not only for the food, but the quality time spent with my family and the memories we make each year. There is a lot of preparation the day of, and inevitably my kids get restless. I am excited to have an outlet for them that is specific to the holiday and something special they can do with their cousins. I’d love to hear about your kid’s table this year, or your favorite kid’s table memories.